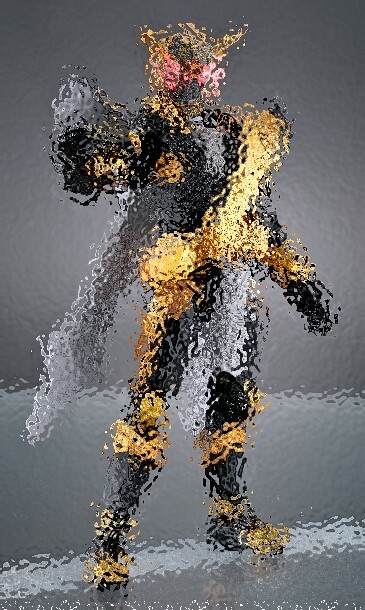 Tokunation › Kamen Rider › SODO Oma Zi-O Teased! 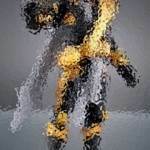 Doesn't seem like he's gonna be included in Ride5 of Zi-O, we'll know more on his release by the end of the Tear. So-Do seems determined to release every form, including those that aren't even in the show, so this isn't much of a surprise. 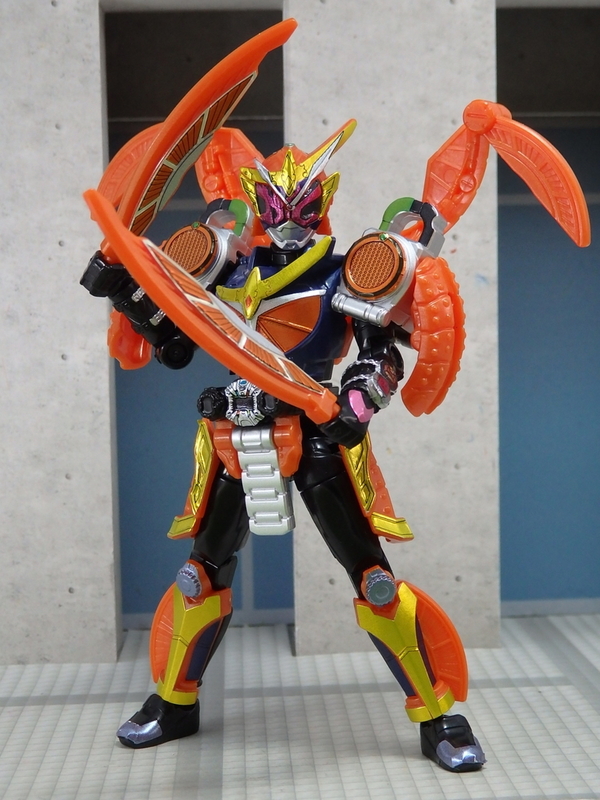 Also neat; Gaim includes a few extra parts to replicate the big 'arms part' formation. 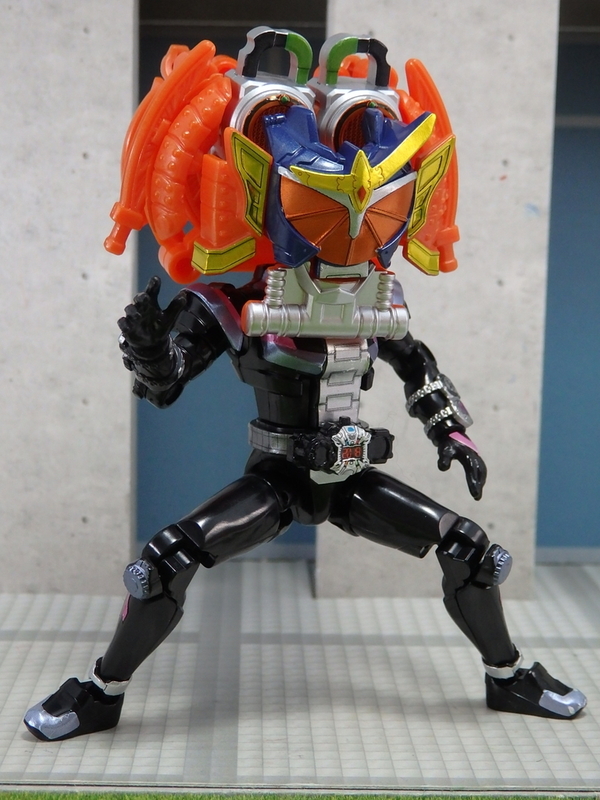 So Oma Zi-O is confirmed. We'll probably get Woz (and form parts), Zi-O 2 and Gates' new form. The future Riders themselves are less guaranteed but wouldn't be a surprise. That's a few waves. Maybe the future trio as a P-Bandai? If they do anything at Premium Bandai, it'll be the Time Mazines. 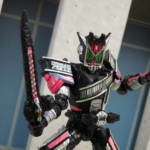 Or maybe Tsukoyomi if she ever has a Rider form. I'm surprised they haven't yet announced the inevitable slight-upgrade versions of Geiz and Zi-O with more paint and additional stickers. Glad to see him being made, can't wait to see what else is coming. Considering the last two years worth of So-Do, we'll get everything. Woz? Certainly. The Futururing Forms? Yep, probably in the same wave at this rate. The Future Riders? Honestly, I'm sure of a retail release for them, unless we hear about any web-exclusive Youtube Shorts coming soon-ish. Unless the last few waves of Build stuff sold badly, which from personal experience I doubt, it'll happen. One of the staff members said they're looking to do all the Decade Forms (Sparkling, Grateful, etc) somehow. (I'd put that as P-Bandai, if anything). I'm still stuck on Build, but once I'm finished, I'm coming for you, Zi-O! If they do anything at Premium Bandai, it'll be the Time Mazines. The Time Mazines are being released normally. 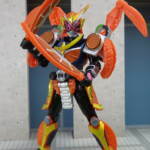 Unlike Figuarts, SODO is usually good at releasing all the essential characters at retail. I believe everyone from EX-Aid and Build got released at retail with only a handful of forms ending up as limited release or exclusives. Well, Zi-O's is. I definitely don't see them skipping Geiz's, but it'll be interesting to see how far they go with stuff like the Time Jacker's Time Mazines or the generic Mazine we see in the future scenes, and now the Dai Mazine. The last one is quite a bit larger than the rest, and can't reuse parts, so I could see that one being a premium release if they do it. The way they described the Time Mazine kind of made it sound like a new category, which sort of suggests there'll be more than one. It's an easy retool to do the others that use it as a basis. And they will likely do other mecha too. Like how Build and Kyu did more than expected with their respective value/minipla lines. 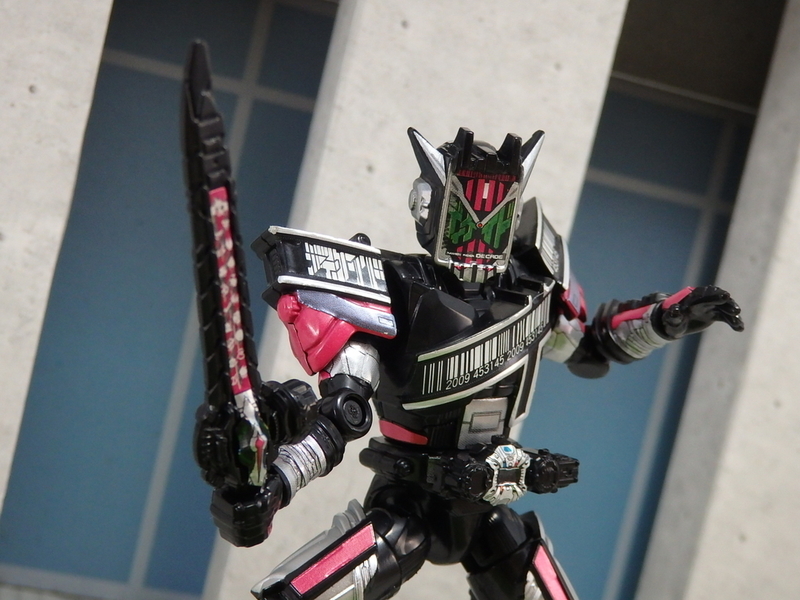 So Geiz will get his at minimum, but we will likely see others too like the time jacker vehicles and mechs. 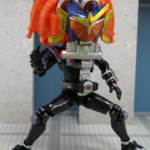 Full Thread: SODO Oma Zi-O Teased!